Most of the governments are promoting electric vehicles but the number of charging stations is very low even in developed countries, which is why EVs don’t sell like regular models but the products like Note e-Power is a solution for this as it doesn’t come with charging slots instead the hatchback gets petrol engine, which acts as a range extender. 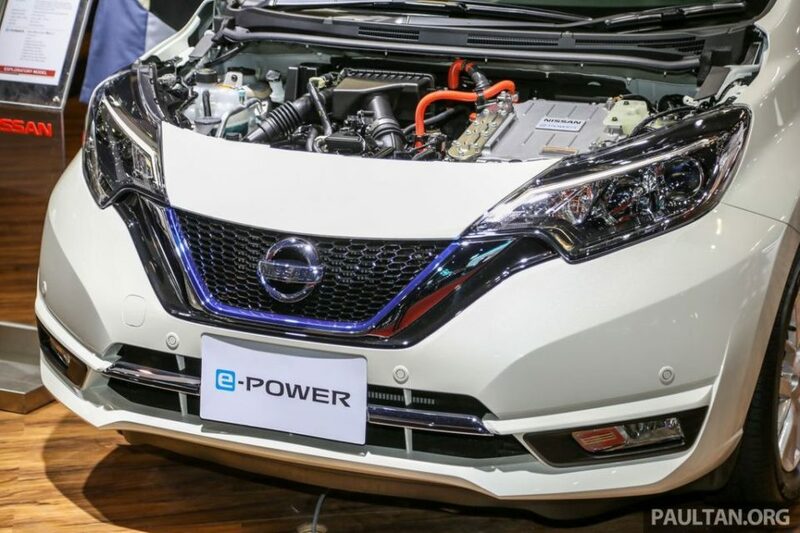 Nissan officially showcased Note e-Power at the 2018 Kuala Lumpur International Motor Show (KLIMS). The prototype showcased at the Motor Show doesn’t have a hood as the company want the public to see the range extender electric powertrain technology. 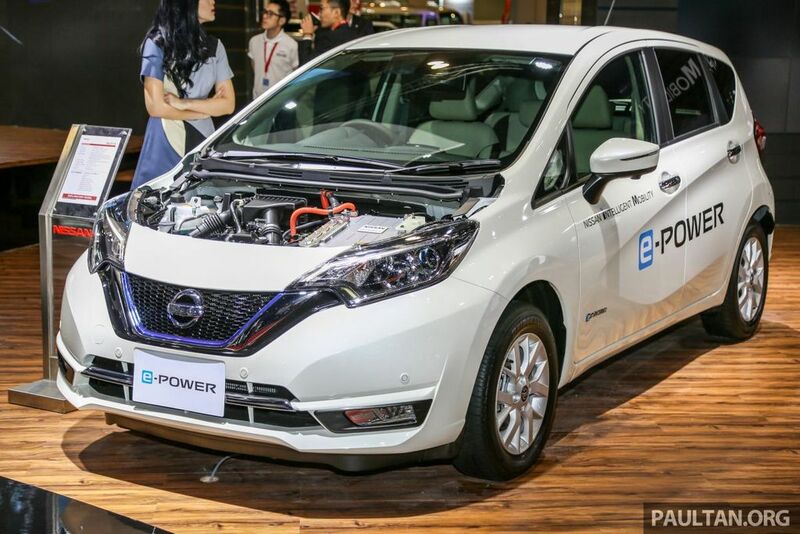 Along with Note e-Power, they also displayed the new generation Leaf, which will be launched in the middle of 2019. The Note e-Power comes with a 1.2 L three-cylinder petrol engine with 79 PS of power and 103 Nm of torque. This engine doesn’t send power to wheels instead it acts as a generator for the single electric motor producing 109 PS and 254 Nm of torque. According to the company, this technology has lots of benefits like instant torque output and customers don’t need to worry about range also. The petrol engine helps the company to fit the model with a small battery pack and it is stored under the seat, so the cabin space remains the same. Nissan has tuned this technology to improve efficiency and according to Japanese JCO8 cycle, the Note e-Power returns 37.2 km/l which is impressive and better than any other regular petrol-powered hatchbacks. Like India, the number of charging stations is low in Malaysia also which is why the company decided to showcased the Note e-Power in the Motor Show to get feedback from customers. 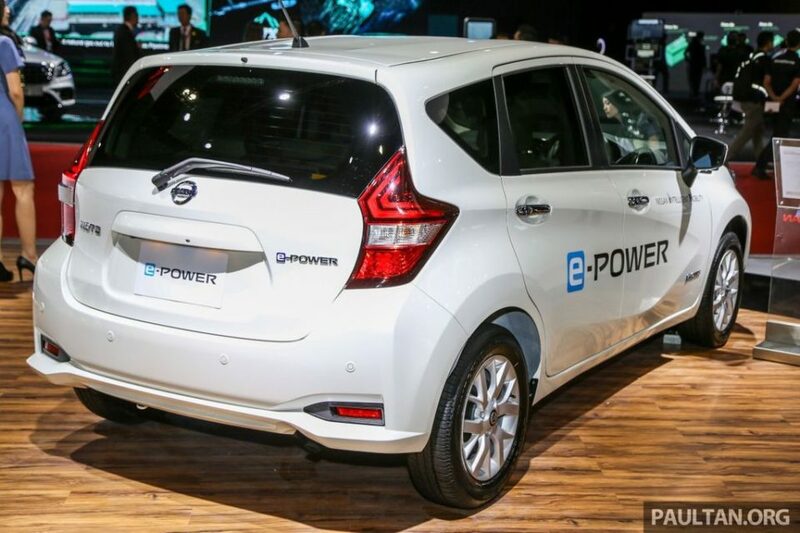 Nissan is planning to bring the Note e-Power to India also and they want to assemble the model in India with a high level of localization to keep the price down. Even though India government offer tax cut for electric vehicles, they are not considering Note e-Power as an EV and Nissan is trying to convince the government about it as GST for electric vehicles is just 12 per cent compared to 28 per cent for regular models. If everything goes to plan, then we can expect the Note e-Power to be launched in India by the end of this decade.